License - Personal and Commercial Renders Ok, textures not for sale or redistribution. 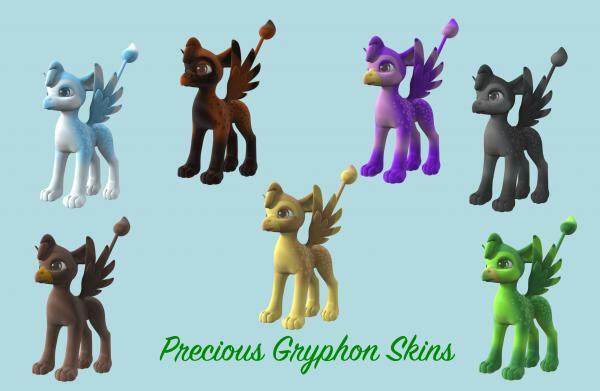 Here are some free textures for Lady Littlefox's Precious Gryphon (at Daz3D.com) in .jpg format. There are textures to make 7 different gryphons, but of course you can mix and match them if you want. The eye textures will work with any of the Precious line (Dragon, Deer, Unicorn, etc.). Instructions for use are included in the ReadMe file.